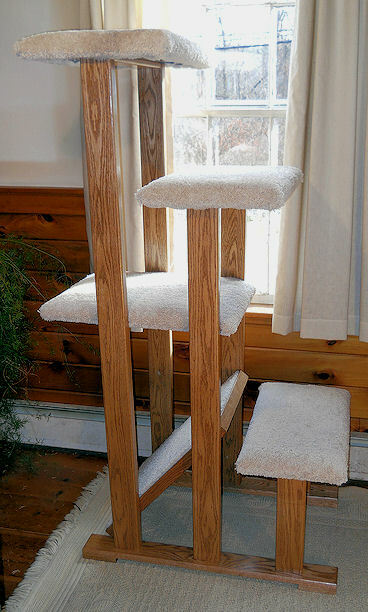 Furniture grade stylish hardwood cat trees that look great and are lots of fun for your cat. Solid oak with golden oak finish. With multiple carpeted levels, it is both a wonderful climber and great place for naps. It is also ideal for a window as a multi level perch to watch the world go by. They are available in a 3 level or higher 4 level model. 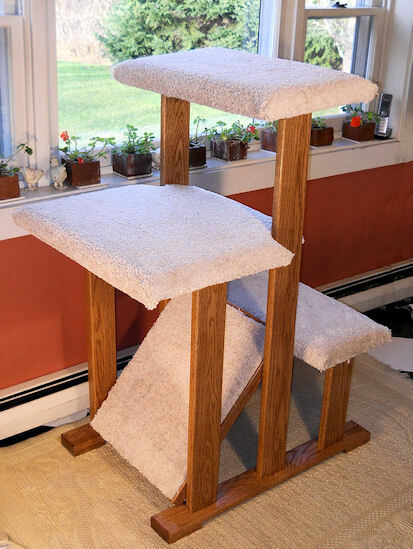 The extra large 24" wide perches are padded for comfort with 1" foam and covered with plush carpet. 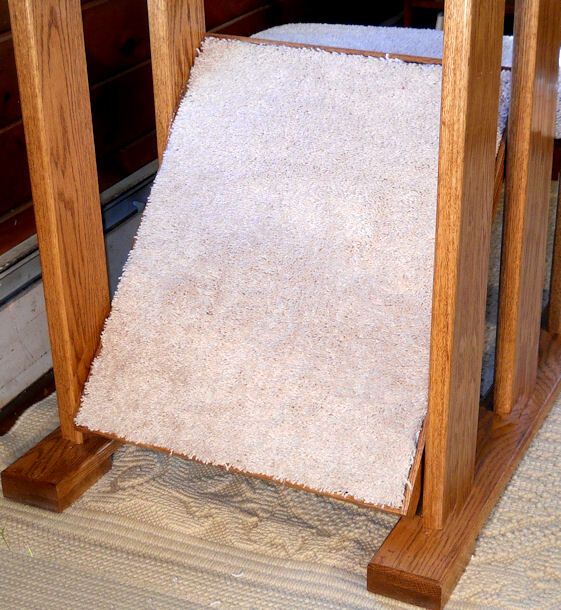 The foot stands and posts are made of solid hardwood oak or maple with a durable finish. 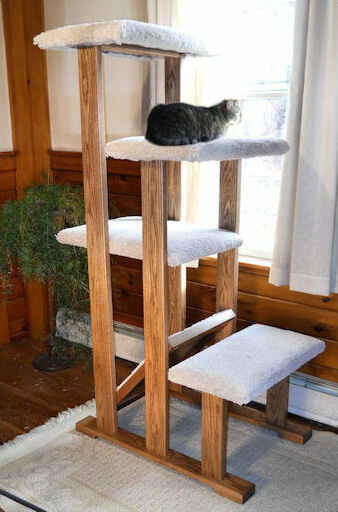 The 24" wide by 15" deep top perch (top 2 for the 4 level size) offers lots of room to spread out and nap. The 2nd level is also a big 18" wide by 22" deep. The height between levels is 15", enough to stretch but not too high. 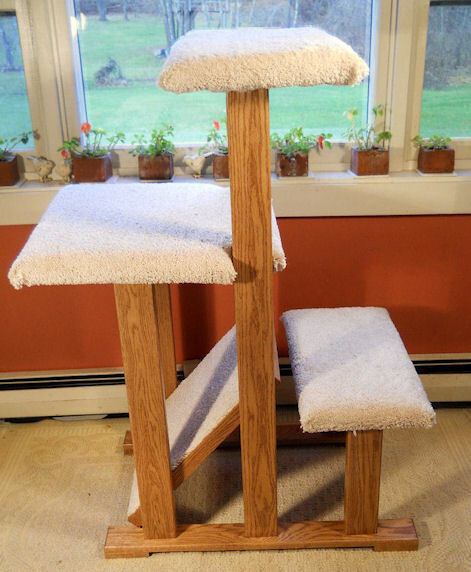 Each tree comes with an 18" by 24" angled carpet scratcher close to floor to stand and scratch. Choice of solid oak or maple with stain options. Assembly required.